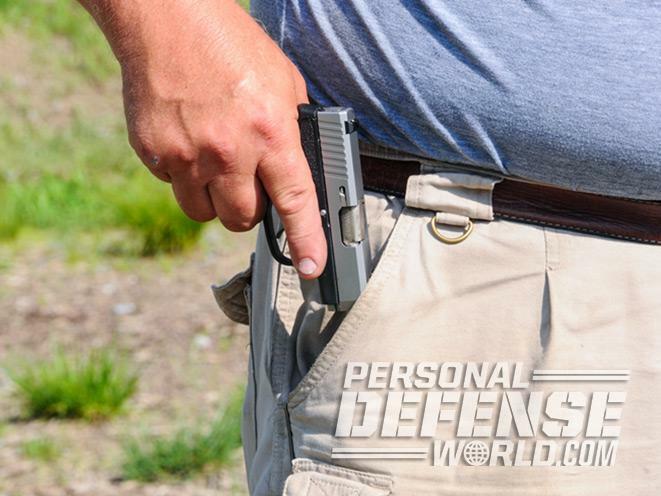 How dropping plates with a compact .380 ACP at 20 yards can sharpen your close-quarters defense skills. 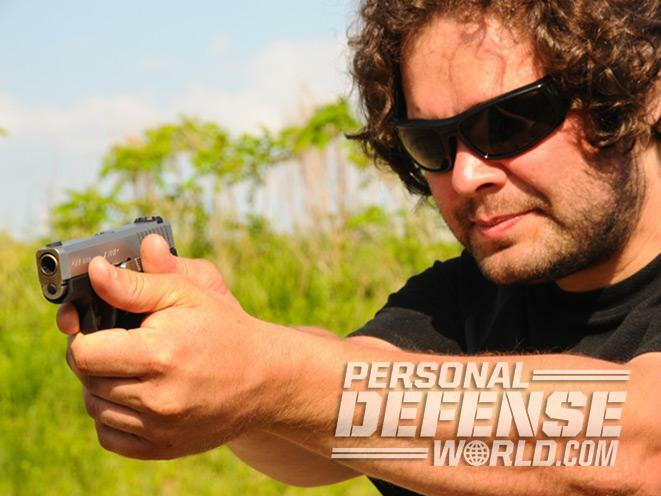 It’s important to practice with your pocket pistol and understand its capabilities. 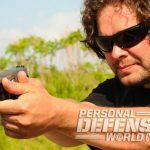 Can you accurately hit a threat at 20 yards if the situation demands it? 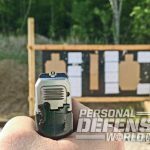 Beretta’s Pico features functional, snag-free sights, which led to reliable center-mass hits at 10 yards during the author’s informal testing at the range. 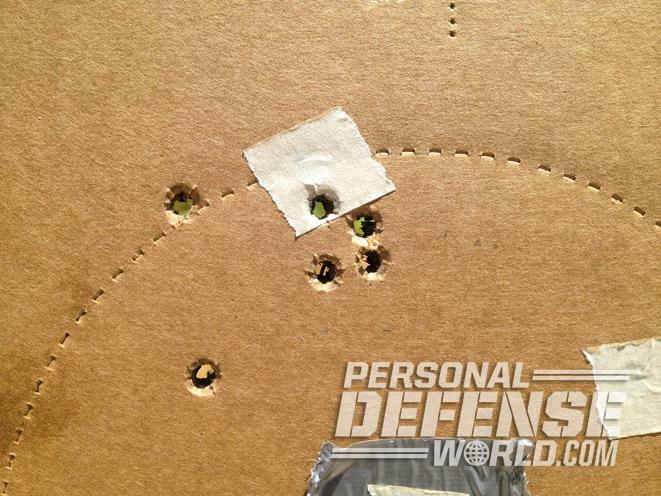 The author function-checked his test ammunition by shooting at the head and tape squares on this IDPA target. 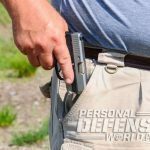 When a traditional carry gun would get in the way of your activities, a pocket .380 ACP like the Beretta Pico (shown) may be all you have when the need for a gun arises. 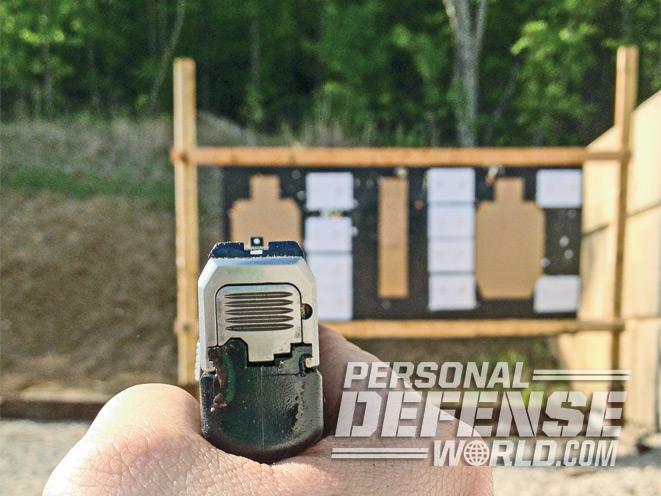 There are very few cases where you’d ever need to fire a .380 ACP past 7 yards. Those longer ranges are better suited to calibers that start with a “4,” or ideally, shotguns and rifles. But the gun you’re wearing beats the gun you left in your car, and for many of us, that’s our pocket pistol. What can yours do at 20 yards? 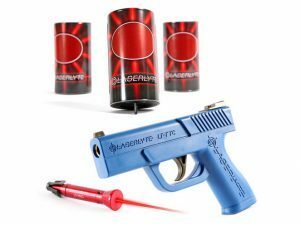 You need to know how your gun performs within the most logical range of contact for its type and use. 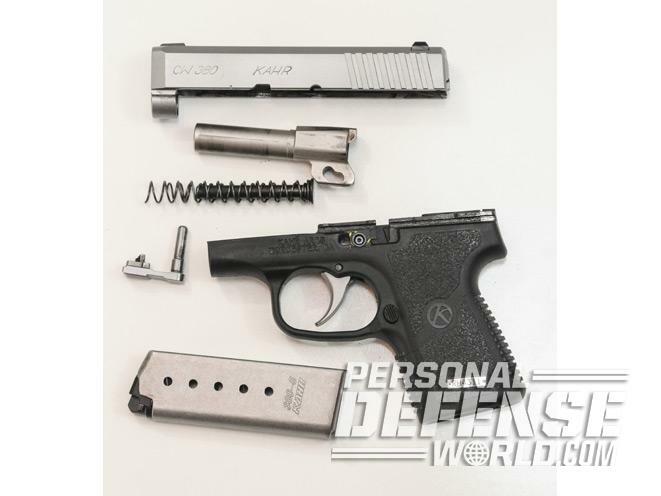 For a .380 ACP backup gun, that’s contact range—and you’ll probably be on your back or have a hand occupied with grappling. 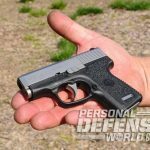 But for a .380 ACP in the role of an everyday carry pistol that means the standard 7 to 10 yards you already train for with larger pistols. It also means that you might need to employ that .380 ACP to engage a more distant, modern threat. 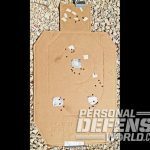 Returning effective fire on an active shooter in a theater, a mall or at work might require making hits at ranges you never conceived for your .380 ACP. You need to know where it hits out to 20 yards (or more), even though that seems, at first, ludicrous. The biggest threats I routinely encounter come while jogging: coydogs and stray guard dogs. Given their charging speed, I might need to—and be justified to—shoot them at greater range than a human attacker. There’s just no way to outrun dogs, and you want to start directing effective fire as early as you know you’re being attacked, which means while there’s still some distance between you and their fangs. These are surely remote possibilities, but we carry concealed for exactly that reason, to address remote possibilities when they surprise us. We owe it to ourselves to be as best prepared, with knowledge and skills as well as proper equipment, as we can be. I’ve shot a lot of .380 ACPs, and most aren’t particularly fun. Older models weren’t built to be accurate, being intended as contact-range guns, and their lack of surface area on the backstrap made the extended shooting of many of them unpleasant. Reliability was often questionable for anything reasonably priced. That’s changed for the better, however, with thoroughly modern offerings from just about every name brand, and some reliable performers from the fringes as well. So, too, have the techniques for carrying and shooting them. 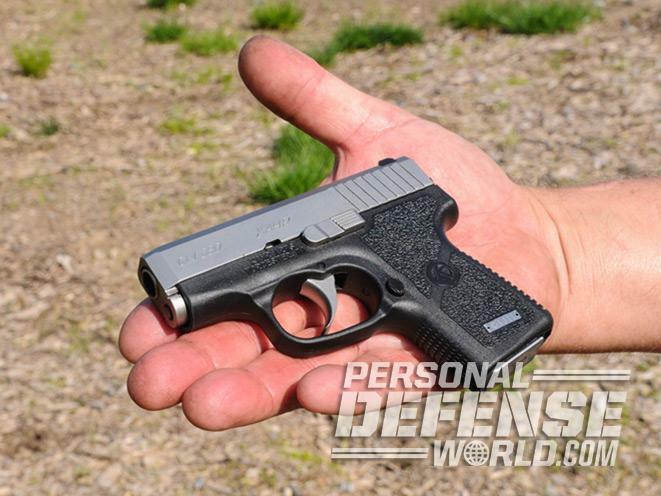 As an example of a thoroughly modern .380 ACP, I put a Kahr CW380 through its paces. The stubby 2.5-inch barrel and relative lack of mass provided much less muzzle flip than I expected, as the overall compactness of the gun brought the bore line much closer to my hands. 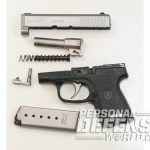 Surprisingly, the best accuracy returned with this pistol came from maintaining a grip no tighter than a gentle squeeze. Clamping my hands together, using the fingers to pull the palms together like a vise, actually degraded accuracy. 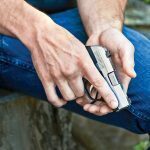 Instead, the tiny pistol wants a firm grip that controls it, which means more energy is directed into cycling the slide than moving the firing hand, but no more than that. 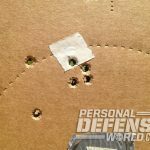 The comparably relaxed grip shrank groups at 10 yards by 20 percent and increased shooting pleasure. 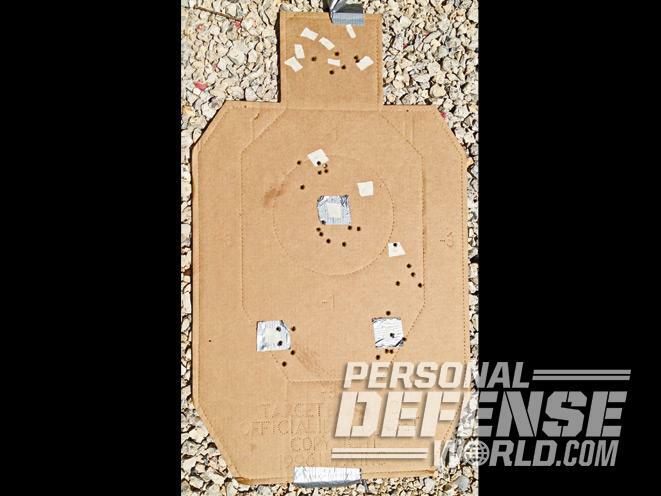 When trying to keep all your hits at 20 yards in the 12-inch-by-18 inch “-1 zone” of an IDPA target, bring your pistol to bear instinctively. Align the front sight three quarters of the way up the target’s torso. Align the rear sight, then stare through them at your target—which, if it was attacking you, is the only thing you’re likely to be looking at, period. Squeeze the trigger evenly, being mindful of the figure-eight it wants to do as you stack the pressure. Try not to anticipate the shot, as the short barrel is particularly unforgiving of any misalignment with the target. 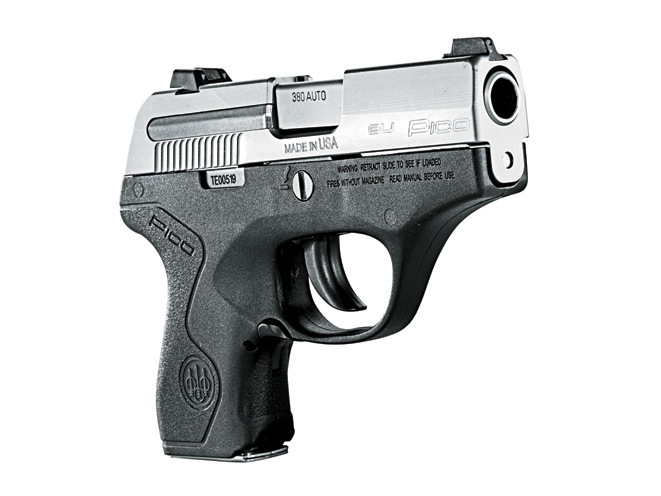 The CW380, like Beretta’s Pico and Kel-Tec’s P-3AT and most other modern .380 ACPs, has no place for your pinky, so you’ll want to extensively practice drawing it (unloaded) from your normal carry holsters. 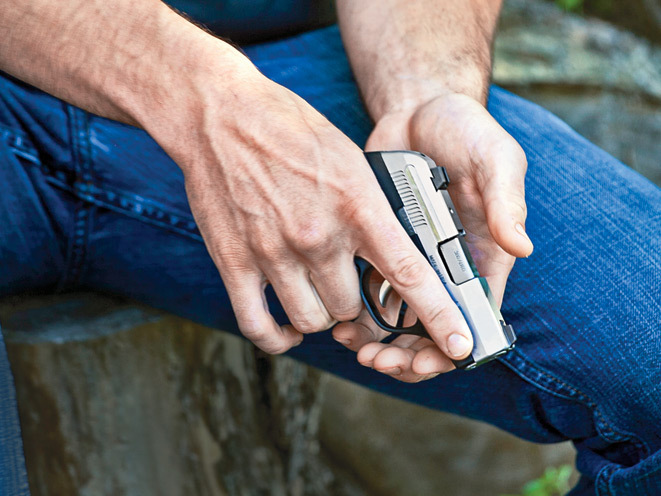 Focus on getting a solid, repeatable grip, one that finds the gun nestled as snugly into your hand as you can get it without risking slide bite. Make sure the backstrap runs along the muscular part of your hand beneath your thumb. If it slips too far in, onto the thinner part of your hand nearer the middle of the palm, the bottom edge can become uncomfortable and the recoil impulse will be directed into the web of your hand off-center from your forearm, meaning that recoil can hurt, and the tiny gun will be pointed several degrees off center. With barrels and sight radiuses as short as they are on .380 ACPs, bringing the gun up to bear with a proper, repeatable grip is crucial. 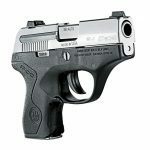 The Kahr has very clear, snag-free sights, and many modern .380 ACPs have quality sights as well. 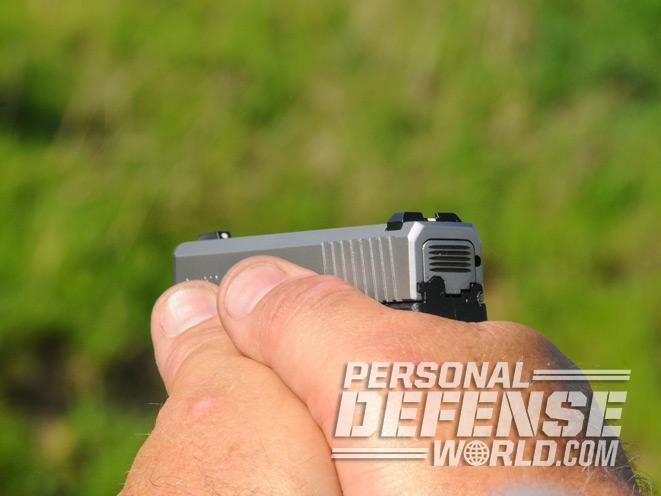 A big selling point of guns like the Glock 42 is that the sights are identical to those on their larger models, but even with advances in design, pointing guns this small instinctively is largely a matter of proper practice. 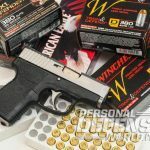 While historically .380 ACP pocket pistols run reliably on FMJs alone, the Kahr functioned fine with JHP ammunition from Black Hills and Winchester, as well as FMJ rounds from Winchester and Federal American Eagle. 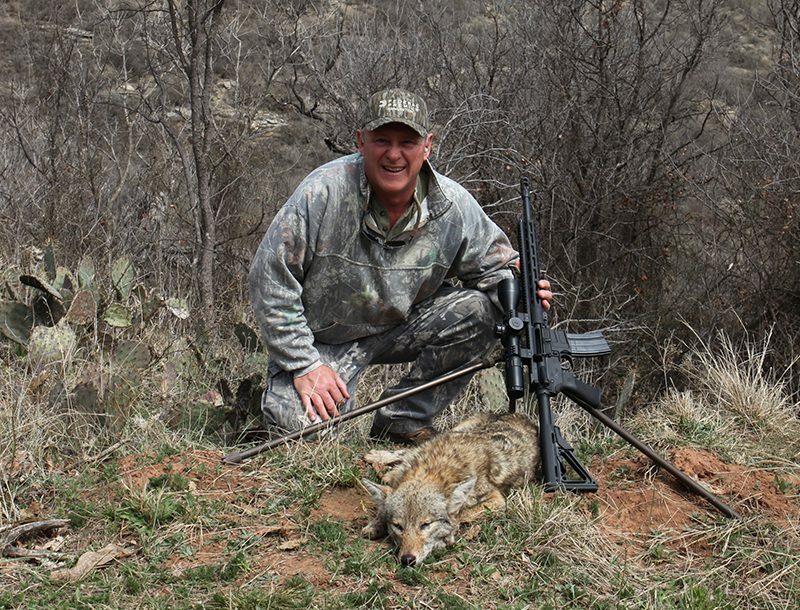 In casual shooting of the Black Hills ammunition additionally through a Kel-Tec P-3AT and a Beretta Cheetah—a full-sized gun so far as .380 ACPs are concerned—the Black Hills JHP defensive rounds also worked flawlessly. Winchester’s Train & Defend ammunition combination offers a 95-grain FMJ and paired 95-grain JHP, for practice and defense respectively, that have exceedingly similar recoil characteristics and points of impact—and each projectile style worked flawlessly in testing the Kahr. They are designed to work across .380 ACP platforms, and modern .380 ACPs are designed for reliability with hollow-points in mind. 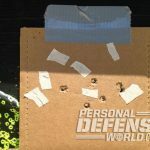 Expect kinetic energy from 95-grain defensive rounds to be around 190-200 foot-pounds of energy from common 90-grain and 95-grain loads, compared to around 350 foot-pounds for a 115-grain 9mm. 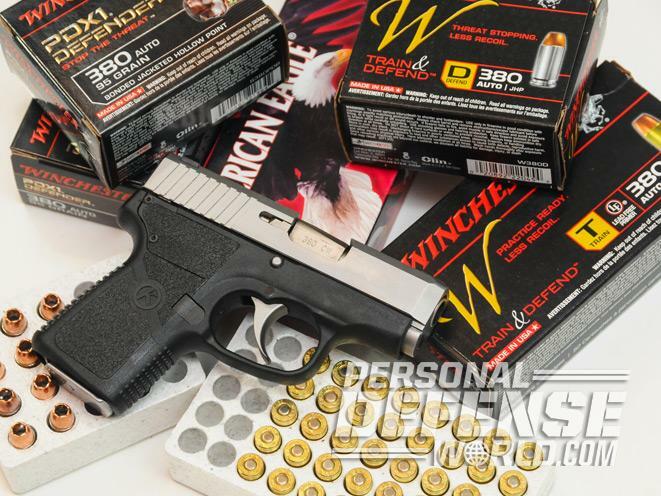 We don’t choose the .380 ACP for its comparative stopping power, but modern loads do their best with the light projectiles and powder charges, and their projectiles are designed to perform reliably at their low velocities. 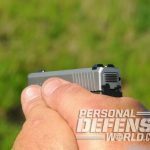 The Kahr’s backstrap did an excellent job of distributing recoil into my hand, such that it was a pleasure to shoot, even for 500 rounds over two days of testing. It felt milder than a .38 Special with target loads, which is a fair comparison standard for most .380 ACPs. What you might think would be the biggest challenge—finding somewhere to go with your pinky—turned out to be not too bad in this case. Wrap your pinky under the grip and focus on more important things. 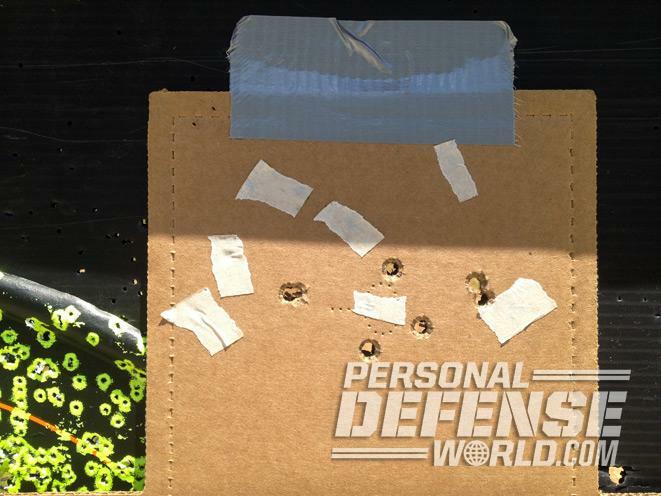 So while I’m nuts to shoot the CW380 at falling plates at 20 yards, I can reliably hit four of them per magazine. What’s really nuts is that modern pocket pistols can do that!